Hampson and other rescuer worked by lantern light that first night only to see the full magnitude of the damage at dawn. For many, the storm destroyed everything. Pointing to the ruins of her home, Louise Metcalf told a reporter, “That is where I wanted to die. I could not leave last night when the people came for me. I sat out in the rain all night, hoping that maybe I would die.” Metcalf was one of nearly 4,000 Mattoon and Charleston residents made homeless. The scale of the damage was immense with 638 injured, 101 killed, and $48.5 million in property damage. The storm system and the tornadoes it produced a 287-mile long path of destruction from Missouri border, across Illinois, and into western Indiana. It was, up to that point, one of the most destructive storms in Illinois history. Reports and calls for aid appeared almost immediately in papers across the country. In a series of telegrams and a letter between Harold Hampson and Dean Thomas Arlke Clark, Hampson described his disaster relief work and requested lenience in rescheduling final exams he missed. Hampson also alludes to the original tragedy that resulted in his trip home. On May 24, Mattoon native and UIUC student Dwight Roberson ’20 drowned in the campus pool and Hampson was in town for the funeral. Instead Hampson joined the rescue efforts, “upon hearing what had happened I got in Peer’s ambulance and worked in it until 8 o’clock Sunday morning. 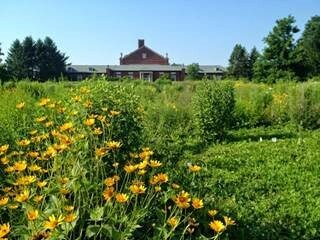 I then took a rest, then began working at it again.” Hampson kept at for two days, before briefly returning to campus. Hampson spares Clark the harrowing details of the rescue work, only noting, “I do not know whether you realize the situation here, but if you could see the place I am sure you could understand how things are.” Newspaper reports from the morning after the give a sense of Mattoon’s horror and chaos during those early hours. According to the Indianapolis Star, “every available vehicle in the city was in service carrying the dead and injured to hospitals, churches and other public places thrown open to them.” For those who lived through the night, as Louise Metcalf demonstrates above, survival was not necessarily welcome. The Cincinnati Enquirer claimed doctors sedated survivors who refused to leave their ruined homes in order to facilitate their rescue. Based on the scale of the disaster and press reports made on the ground we can reasonably assume Hampson was pulling the wounded and dead from ruined homes in Mattoon. After the accidental death of a friend, destruction of his hometown, and long hours of rescue work, Hampson came back to campus on Monday to make-up a missed exam. But, by Thursday he was in Mattoon working with the Red Cross. Schoolwork was a secondary concern and Hampson asked Dean Clark via telegram whether he could receive credit for the semester without taking his final exams. He hoped to remain in Mattoon until the rescue and rebuilding effort was complete. The ever-fastidious Dean Clark requested details of Hampson’s work and rationale for missing exams. In his response Hampson laid out the services he had provided in the immediate aftermath of the storm and his ongoing work with the Red Cross. “[I] have gave every possible bit of time that I have had to help these people.” The Red Cross’ director of food distribution seconded this in a post-script to Hampson’s letter, “Herbert has done wonderful work in relieving the distressed of a terrible situation.” For Hampson, leaving school without finishing the semester was an easy decision. He informed Dean Clark, “As a citizen of this town I feel that it is my duty to do this for them.” The May 1917 tornado outbreak ranks among Illinois’ worst storms and in its aftermath Harold Hampson rose to serve his hometown at the expense of his education. It is unknown whether Clark let Hampson make-up his exams or if he ever completed a degree. Indianapolis Star, May 27, 1917. Cincinnati Enquirer, May 28, 1917. Chicago Daily Tribune, May 28, 1917. John W. Wilson and Stanley A Changnon, Jr., Illinois Tornadoes (Urbana: Illinois State Water Survey, 1971), 7; J. P. Carey, “The Central Illinois Tornado of May 26, 1917,” Geographical Review, Vol. 4, No. 2 (August 1917), 122. Estimates vary as to the number killed and injured. The earliest estimate of property damage across Coles County was $2.5 million in August 1917. That has been adjusted for inflation with the Bureau of Labor Statistics’ inflation calculator. Nashville Tennessean, May 27, 1917; Arizona Republican, May 27, 1917; Louisville Courier-Journal, May 27, 1917; Indianapolis Star, May 27, 1917; Chicago Daily Tribune, May 28, 1917; Cincinnati Enquirer, May 28, 1917; San Francisco Chronicle, June 5, 1917. The Daily Illini, May 25, 1917, Herbert Hampson to Thomas Arkle Clark, June 1, 1917, Folder: Ham-Har, Box 9, Student Affairs/Dean of Men/General Correspondence, 1912-1943, 41/2/1, Student Life and Culture Archives. Herbert Hampson to Thomas Arkle Clark, June 1, 1917. Herbert Hampson to Thomas Arkle Clark, May 31, 1917, Folder: Ham-Har, Box 9, Student Affairs/Dean of Men/General Correspondence, 1912-1943, 41/2/1, Student Life and Culture Archives. Thomas Arlke Clark to Herbert Hampson, June 1, 1917, Folder: Ham-Har, Box 9, Student Affairs/Dean of Men/General Correspondence, 1912-1943, 41/2/1, Student Life and Culture Archives. 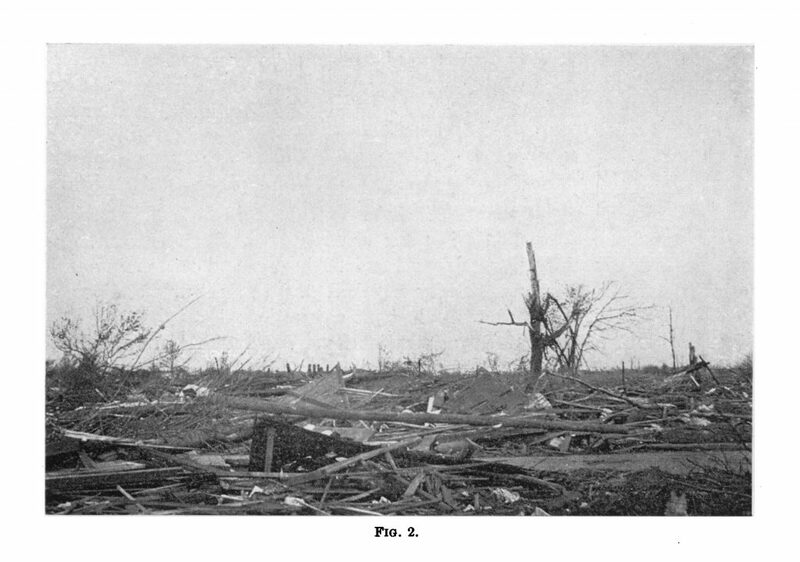 Image 1: “A section of the devastated district, Mattoon, Ill,” Geographical Review, Vol. 4, No. 2 (August 1917). This entry was posted in Students. Bookmark the permalink. Trackbacks are closed, but you can post a comment.